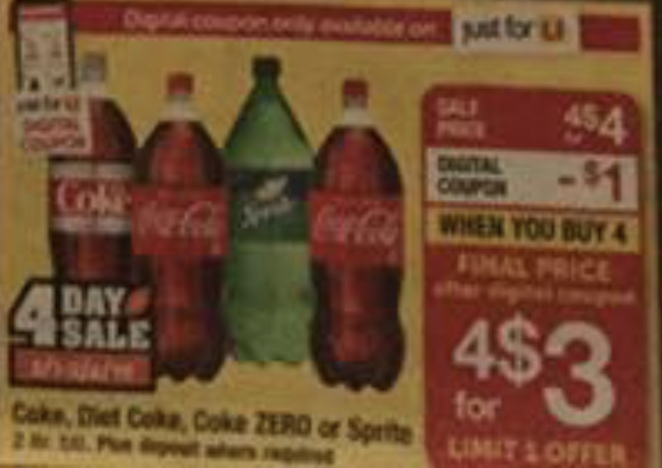 Acme: Coca Cola Products 2 Liter Drinks ONLY $0.75 Each Starting 2/1! 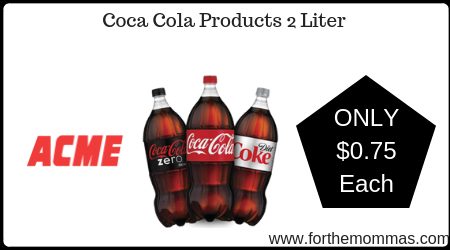 Starting 2/1, Acme has a great deal on Coca Cola Products 2 L Drinks. It is priced at $1.00 each, plus we have a $1.00 Just for U digital coupon to use on this deal that will make the final price just $0.75 each!